The freshly decorated Christmas tree holds pride of place, but the rest of the home needs some holiday cheer too. A few extra ornaments, garlands, swags, etc, will hopefully also help camouflage some of the dusty areas! Now let's start begin by making a grand impression for our expected guests. 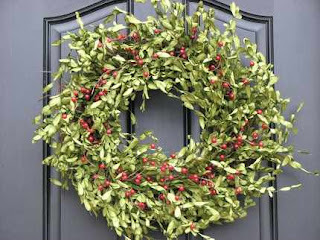 I can't decorate for the holidays without making my front door look truly welcoming with the addition of a wreath. I like a wreath inspired by the quiet beauty of nature's winter sleep. This beautiful boxwood wreath by twoinspireyou, then is right up my alley. Add to the welcoming atmosphere with a gentle waft of holiday scent. I find spicy scents to be the most warm and inviting. 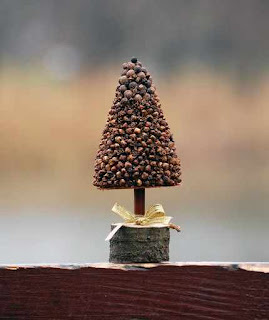 This darling little spicy tree by kaleda, made with cloves and peppers would be sweet parked on a hallway table. Decorations don't need to be bold to effective. 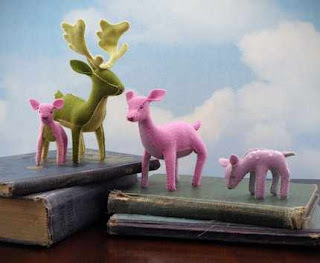 This little deer family for example is such a wonderfully whimsical quartet. It could be used year round, but could also be dressed for the holidays simply by surrounding them with a little festive greenery. They are crafted by TheHandworkGroup. 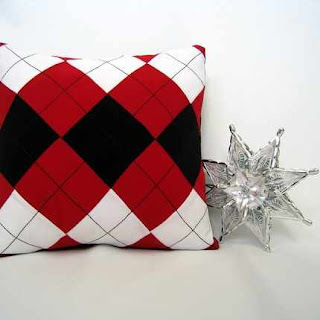 Invite your guests to sit down, but first add a dash of festive spirit to your couch and chairs with pretty red, white and black argyle pillows from Petette. And be sure to make your most awaited guest feel truly welcomed. 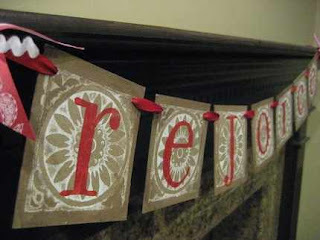 As Santa emerges from the sooty chimney, this garland would be a nice cheery welcome. It is hand-stamped and assembled by bekahjennings. There, just the right amount of holiday decoration. Adding these items to your greenery and glowing candles, and your home is welcoming and festive, without being over-the-top. Really good selection. I love all.